Nanoparticles tailored to latch onto blood platelets rapidly create healthy clots and nearly double the survival rate in the vital first hour after injury, new research shows. “We knew an injection of these nanoparticles stopped bleeding faster, but now we know the bleeding is stopped in time to increase survival following trauma,” said Erin Lavik, a professor of biomedical engineering at Case Western Reserve University and leader of the effort. The researchers are developing synthetic platelets that first responders and battlefield medics could carry with them to stabilize car crash or roadside bomb victims. An injection could slow or halt internal bleeding until the victim reaches a hospital and receives blood transfusions and surgery. Lavik spoke about the latest breakthroughs in her research today at the American Chemical Society’s annual meeting in Philadelphia. Lavik and her colleagues began focusing on synthetic platelets after learning the military has no equivalent of a tourniquet, pressure dressing or other easily transportable technology to stem bleeding from internal injuries. But as they explored possible applications, they recognized that the approach is widely needed beyond military conflict. Traumatic injury is the leading cause of death for people age 4 to 44, often overwhelming the body’s natural blood-clotting process. The platelet-like nanoparticles are made of biodegradable polymers used in devices already approved by the Food & Drug Administration for use in humans. They’re designed to hone in on injuries after injection. Natural platelets, activated by injury, emit chemicals that bind natural platelets and the additional synthetics into a larger clot faster than natural platelets alone. Tested on a lethal liver injury model in lab rats, the one-hour survival rate of the models injected with the nanoparticles was 80 percent. For control groups treated with saline alone the survival rate fell to 47 percent, while control groups receiving scrambled nanoparticles totaled just 40 percent. 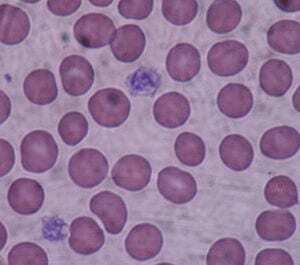 Among the three, the models treated with the platelet-like nanoparticles exhibited the least blood loss. The researchers also found that the hybrid clots were as firm as natural clots. In additional testing, they found no complications following administration of the nanoparticles.